I was talking with one of my AF friends and the topic got onto the Polar Express. With the Legacy Berkshires being cancelled we thought what might bring them back. My thought was a Deluxe Polar Express set with a Legacy Polar Express and Passenger cars with seating inserts not pictures of figures in the windows but real interiors. He was excited by the idea and spoke to some others who commented this could be a big seller for Lionel in "S" gauge. I was curious to see what the reaction to such a set would be from this group. Not interested. The PE is a seasonal set for the most part and to pay for an expensive set with cars and an engine is not of interest. Now if they were to package a Legacy Nickle Plate Berkshire with nice heavyweight cars I would be real ready to pay a premium price for. Based on my own assumptions - if Lionel can't see that there are more folks who want a new Berk than there are PE fans, it wouldn't matter. Improvements to pass cars could be done at anytime. Lionel would probably look at the ratio of O Gauge RTR sets for the PE vs sales numbers for legacy PE Berks and Scale heavyweights. That ratio number then applied to our little S market and.....we fall into the likely not happening arena. I have no interest in a high end PE engine or set. I said earlier I would buy at least one of any new Legacy steam engine Lionel made. The PE would probably be the exception to that statement. 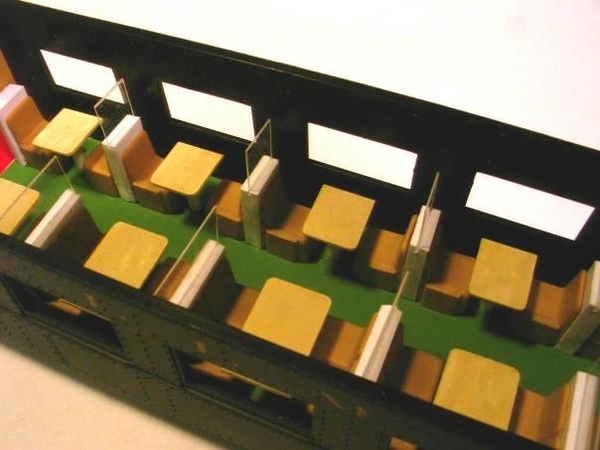 As far as high end passenger cars are concerned 3rd rail recently began taking orders for S gauge scale length 80' cars at $1200 for a 6 car set. I have a set on order. They will likely need 27"R track based on the 80' AM sleeper radius requirement. My guess is at $100 for a high quality Lionel Flyer passenger car they would sell acceptably well if a good variety of road names are available. I feel we all need to be prepared to pay at least the O gauge prices if we want much new product in S gauge from Lionel. The new Legacy O gauge J3a Hudson is $1,400. It has a few features not used in S gauge so call it $1,300 retail for a new S gauge Legacy Hudson. I would pay it if Lionel would make it. I agree with Mark on this one. I also would not dump my present PE for a more DeLuxe one. As far as more detailed passenger cars, those too would be a non-starter for Lionel. Too much modification would be needed. Besides, a few years ago American Models re-released their full length Pullman cars. Palace Car company also offers an interior upgrade for them. Here’s what mine look like. I also came up with a way to adapt American Models’ Budd interiors to their heavyweight cars with only three cuts to the Budd interior. 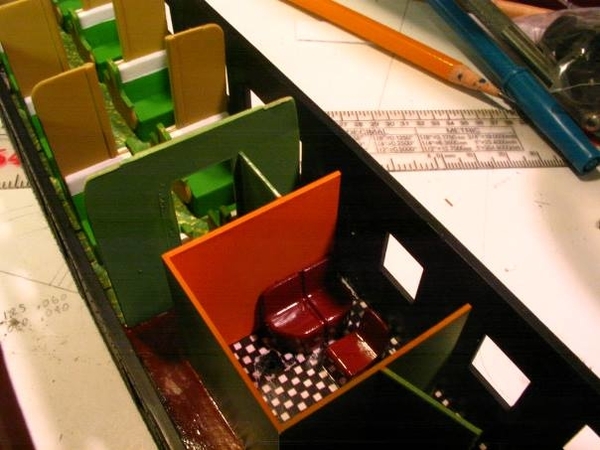 The café car's interior (last photo) was freelanced based on the Palace Car interiors. When illuminated in a dark room, it look fine. I agree that a deluxe Polar Express would be a no go, as it is a specialty product, that those of us who purchased it love, but not enough to upgrade. If I wanted to upgrade, I would change Flyerchief to DCC - and that's not going to happen. First off. Jerry love the interiors. Third, the point behind the Deluxe Polar Express is that Lionel is now getting ready to do another run of S scale Polar express. So sales are strong. Even though several of those on this forum have it, there are others who do not. Lionel may be more inclined to do a Deluxe Polar Express than a Legacy Berkshire Consider the fact that if they did the Polar Express that may move them to do other Legacy Berkshire runs. The same with Passenger car interiors. Imagine if Lionel did Thomas the Tank Engine in "S" gauge. If they would make an S scale Thomas maybe many of those on this forum may not buy one but many more would. It would bring more people to "S" which then Lionel would provide more focus and thus more funding. I could see Fastrack re-railers and level crossings being added to the line. Finally, It was interesting that people in this thread said no to the Deluxe set which is the exact opposite response I received when speaking face to face with some S friends. The thing to remember is it was't the lack of orders that killed the Legacy Berk , it was the cost of tooling. I still wish to have a Legacy Berk, including one with enhanced but less ambitious tooling changes. If a Legacy PE Berk was added to expand the range of choices to obtain a more economically viable production run, then fine. My repeated previous discussions with Ryan at York tend to indicate that that they (Lionel) would not be up for a substantial modification of the tooling and additional parts to obtain a line of upgraded heavyweights with interiors. Heck, it is difficult to get Lionel to catalog and do runs of new heavyweights of the current design, even with generalized Pullman decoration. The notion of interiors for the heavyweights has been brought with various Lionel product teams 'forever'. The cost-driven decision to go with the design and tooling of the heavies was decided back during the Wagner (TRW)/Kawala product development regime ... a discussion I vividly recall from about 13 years ago. As desirable as it might be (and, I would be delighted to be proven wrong), I would not hold out much hope for any extensive design changes for the heavies. I think this is a DEAD subject. When I talked to Ryan Kunkle about the Legacy Berks for the S Gaugian Magazine when they were cancelled, he shut the door on further consideration of a future Legacy Berk. He said that Lionel has had no good results from reissuing a product that was cancelled for any reason. He said that they would move on to other Flyer projects. I believe the market for Legacy Berks was already flooded with the FlyerChief units and there weren't enough people left who wanted to upgrade from the FlyerChief or Legacy only buyers. Time to work with Lionel to get them to issue a new steam engine in Legacy first. Then if they want to offer it as FlyerChief second. In no way was I trying to disparage anybody from getting a more deluxe PE. It's just not what I'd want. An upgrade to the heavyweights would be very nice, but Bob Bubeck's comments on what Lionel thinks about that make sense, at least in Lionel's terms. 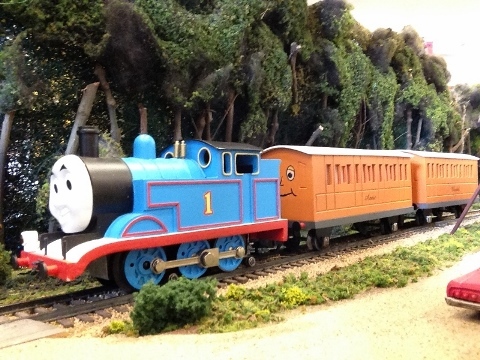 Thomas will be appearing at the upcoming Spree or Convention if the layout is there. Well, it could be the forum folks have different priorities than your friend's friends. That said, I personall have no interest in a Polar Express in any way shape or form (or a Thomas set,) even if they were to make full scale with code 110 flanges, Tsunami DCC and Kadee couplers. It's not that I don't think the Polar Express is a bad idea, it's just not my "thing." As an accessory for Christmas in general, the Polar Express is just fine. It'll be interesting to see how many pony up for the $1300 Bi-Polar electric locomotive. I'm actually surprised the licensing deal lets Lionel get away with some of their offerings, but I guess WB likes the $$$ they receive. I'd like to see where the sales numbers on that bipolar end up. I cannot believe anyone would plunk down that kind of scratch for a fantasy loco of a fantasy scheme. Fantasy squared. I do like whimsical cars, myself; $1200 could buy a lot of them. In the end, you may be correct, however Ryan in his comments to me during last York, left the door open for consideration a few years down the road. On a personal level, Lionel needs to come up with something new and compelling. There is nothing in the Flyer section of the latest catalog that prompts me to part with my money. Offering FlyerChief engines when LionChief 2.0 (controllable with TMCC Cab-1 and Legacy) is in the wings is a puzzlement. I have no desire to add yet another Gilbert-derived GP or Baldwin to my roster and I "did" the modern diesels on past opportunities. Frankly, my Y3 is a significantly better piece than anything offered this time around and shows what they could do again if they would only put their minds (and capital) to it. Regrettably, I guess in the meantime, Lionel is DEAD to me (so to speak) until things change. Do you know where I can get one of these before they are all sold out? I must confess, if it is okay to come out of the closet here on the forum, I'm one of those Polar Express junkies. I probably should see someone about liking a fantasy theme more than say BNSF for my toy train layout. Then again how do I explain the Batmobile parked in front of my Snow Village train depot with flowering trees alongside it dotting the winter landscape? As to buying a different version, deluxe version, as crazy as I am about P.E., I don't want to re-purchase a better version of what I already have. Sounds a lot like the iPhone - just keep upgrading. I have all the original O cars and didn't bite on new version with snow tops. I probably would go for the Bi-Polar - love Legacy engines - but my layout isn't built for anything with needs above O36 radius. Of course, this is all off topic as the question relates to S gauge, but I was intrigued by the 2x4. As a group, I can't say that I disagree with all your comments except for the Thomas the Tank Engine. I have no doubt that a 2 rail scale Thomas would be a huge seller in S and bring new people to our gauge. I have to disagree. Thomas has flooded the market in G,HO and O. There's really nothing that an S version would bring to the table. As far as kids are concerned, all they see is Thomas, not what gauge it is. You better hurry...these cars are so hot they are on fire! Lionel is felling entire forests to keep up with demand. OMG, we apparently will have two runs of 2X4 Polar Expresses, as the first run has the words "Polar Express," above the windows like the first Flyer run. Later they will reissue with the wording below the window like in the book and movie. I could not disagree more. I have two boys. They both knew Thomas did not run on 3 rail and said so regarding Lionel's O set. I got them the Bachman HO Thomas and that was a tad too small. "S" was the sweet spot. Large enough so kids could put it on the track plus large enough for some fun accessories. 1) If an engine is made in O, HO and N then the market must be saturated and it should not be made in S.
2) There are constantly new young children born each year who do not have a Thomas set and their new parents will go buy what is available then. If S is the best fit they will buy that. 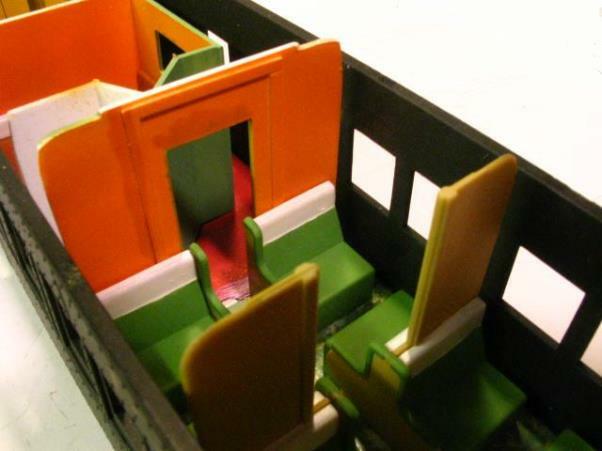 3) Provides a gateway for families and kids to enter the hobby via S gauge. The chance of gaining and retaining a member in a gauge/scale is a lot higher if that defines their port of entry. That rule must exist because it would explain the limited selection that we have today in S! The truth of it is, unless an S gauge set has exposure to the RTR non educated train market....then what’s the point? A Thomas and Polar Express set in S does not mean anything to someone who is looking at a O Gauge or G Gauge set at their store. Most hobby shops I would venture to say don’t even stock an S Gauge polar express set either. A better widget does not sell if it’s not front and center. Heck, I have seen the Lionel trade display at several shows, they might have some flyer on the wall, but none running. There will be 10 sets up and running, but nothing in S.
It's the age old problem of getting S out in front to where people will buy it. A little bit of novelty isn't really going to bring the masses in. When I used to be with a modular group, I got really tired of telling the public that they'd have to search online for a dealer, manufacturer or ebay to find most S stuff. They'd usually say "thank you" and disappear into the crowd. And of course, the experienced model railroader would say "I got too much invested in..."
I really wonder how many non-S gaugers actually bought the Flyer Polar Express verses how many in the choir did. I suspect most of the sales have gone to the S crowd. Lionel may have done another run of them but it's nothing as to how many they crank out in O. The same would be true for S Thomas sets I'd wager. I have no doubt that the S sales of the Polar Express are less than the O sales even with the second run. The point is there is a second run. Everything is relative. There is nothing Lionel can do in S that will out-sell the same item in O as the Market is larger. So relatively speaking in S, Lionel has to make judgements as to what would be a good seller in S. If they can produce a Thomas the Tank Engine train and it outsell the S scale Polar express then that would be a good investment plus it may take business away from Bachman's Thomas line and grow the S scale line a bit more. Folks all this babble about fantasy trains is useless. What would bring more people into S? Reading T1s, F7 in various road names, type J Steamers, M-1 steam, Mikados, Pacifics, and on and on. I've spoken to sooooo many people who want to switch, but can't find what they want. We need new stuff from Flyonel, MTH, American Models and whoever else is out there. All the manufacturers are crying it's a dying scale, but they aren't giving people enough of what they want. I understand it's a big business risk and that Chinese Manufacturers are a big part of the problem. And if you think I'm wrong, go to any train show and see tables of 50 to 70 year old trains at prices that no one would buy for modification and modernization. You hardly ever see new Fllyonel, MTH/S Helper or American Models. My opinion. From the business perspective, O is the market. S exists because it must make an acceptable margin for them. However, I don't think they look at stock in terms of S, O, or HO. If it the margin is acceptable, make more of it. If flyonel Thomas sells, they would make more of them. Unfortunately, the profits would probably get reinvested in flyonel Thomas and not new non-Thomas S items. It is a business not a hobby. They would have to have a commitment to entice people into S but they won't - they already have O. Newer items would do that but that ain't happening without that commitment. I think Lionel always thinks that investing in S takes away from O sales. With Thomas done right in S, they would probably take away from Bachman HO sales. Throw in some operating accessories that Bachman does not have that fit the Thomas story (i.e. Cow on the Track) and they could move this sales to S.
I just think Thomas is OLD NEWS. So many versions have been made in any number of kinds and gauges that one more in S is a waste. If there is tooling money to be had in S don't waste it on Thomas, but give us something new that all the S market would want to buy. First off, "to each his own", but anytime I see a thread come up with the focus on "fantasy" stuff, I have to wonder about the motivation behind it all. Thomas was/is a kid's show; after it goes away, will there still be any sort of demand for trains based on it? Maybe, but not from kids: it'll be from adults who either remember the show, or think their kids/grandkids will like it, or from those who will buy any Lionel release. Similar(?) with the "Polar Express". When the book first came out, we bought it for our then young son, and reading it each year was akin to reading the "Visit From St. Nick." He never expressed an interest in a model version, and didn't particularly like the movie. If (or when) the book and movie luster wears thin, who then will be snatching up any future releases? The same type of folks who buy the Thomas stuff, I'd wager. We also see a thread discussing the application of a 15th anniversary logo on what are after all, "fantasy" PE cars. Sure, this logo could have been placed elsewhere, but does it matter on an item which has no basis in reality? As someone posted earlier, a 2x4 with trucks in the "appropriate" paint scheme would no doubt sell; as long as it has that "Lionel" brand. I imagine it can be frustrating for those who focus on prototype models to see (dwindling) resources being used for these "pretend" roads...collecting for its own sake is great, but should not come at the expense of others who want models of "real" trains, right? Okay, you can kick me off the site now! If there is some tooling money and it brings in new blood to S then it is not a waste. It is an investment that will bring more tooling money in the future. Anything that increases Lionel's S sales is good for all of us. If having new tooling devoted to Thomas increase Lionel's American Flyer revenue then that is fantastic as it will mean they will invest more in the future. For us it is a hobby. For Lionel this is a business. Increasing your customer base is an important aspect of running a business. You can bet if AF total sales went up 30% because of a Thomas set they would create other things we have been asking for such as RR Fastrack crossings etc. These will also benefit the collector hobbyist. I can respect that some would have no interest in Thomas but in our situation anything that adds more interest to AF is good for all. Excuse me, but talk about "thomas" is a waste of time. No one, except you, is interested and with limited funds doled out the S, we want Lionel to maximize new engines (Legacy & FlyerChief), especially with the direction of senior management to cater to kids. THINK, if you lose the established base, there won't be S anymore. ENOUGH OF THOMAS! Agreed Francine...... We should move back to the Deluxe Polar Express that is the topic of this thread. Some of this was mentioned on the 3Rail side. You have to give Lionel credit for the S gauge set, it is probably one of the better looking ones of the three. The scale O version lacks an observation with the large rounded platform the ONLY critical feature of the train. The O27 sets look nice, alas the engine/tender spacing is HUGE and now they come with repeating black footprints on the roof. Maybe they should have been done n light gray if not left off completely. While the book drove a lot of Polar Express train sales, I've been surprised to find how many kids and parents actually really dislike the movie or absolutely don't like it at all and after seeing it never bought the train no matter what gauge. Granted the Polar Express is a fantasy product, however if you are going to make a model of Superman, his outfit is not purple and orange. Saw an add for Ford's new Bullitt Mustang which still comes in Dark Green Metallic, not Pink. So why spend the money to both tool up and decorate the Polar Express train and then add the (some say) hideous "15th Anniversary" logo. Or place the Polar Express in the letterboard like Lionel did rather than below the window as illustrated in the book. N, HO, O, or G, the funding for new tooling is low and needs to be put towards products that will sell. 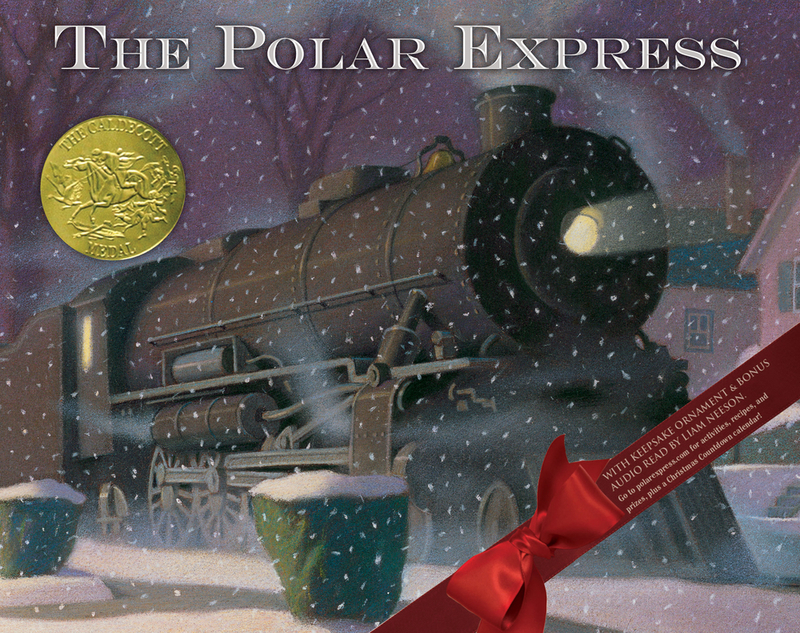 Or place the Polar Express in the letterboard like Lionel did rather than below the window as illustrated in the book. 1) First off I think you are all missing the point. I don't care if it is Thomas or a Harry Potter engine. The point is if by making that item you can appeal to new Train perspective customer then it will only help bring more dollars to S scale. Thus giving Lionel more money for new tooling for both the classic and new S items. 2) Regarding your comment that no one but me is interested in Thomas. You are incorrect. Over the past 2 years I ran surveys on this site as well as others plus also in train clubs as to what people wanted. Although Thomas was not at the top of the list it did get a significant number of votes. 3) I agree you should THINK. We are loosing the established base as we are all getting older. Many are retired and have fixed incomes. If we do not bring new customers into the scale it will die off. In conclusion if you do not like Thomas, substitute any other train related product that will bring new S customers who may one day transition to classic S scale. Keep in mind that several people only like Gilbert style 1940-50 trains. Does that mean we should not have modern rolling stock and engines that appeal more to the younger new train enthusiast. I like Legacy trains but I would not suggest that we should only focus on what I want. If Flyer Chief brings more people into the scale then great. So I apologize that using Thomas as an example offends or annoys others who have no interest in it but instead it is meant to represent a set of new ideas and the opportunity to bring new people into S gauge. If you have a better idea on how to bring new customers feel free to suggest it. I promise to listen and will not tell you to stop pushing forward your suggestions on how to help.